Hard Rock/Alt Metal. This mix of two genres has always been my comfort zone in music. 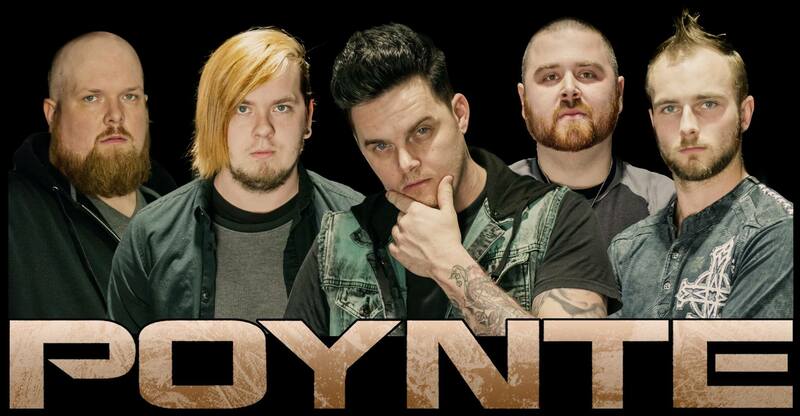 So it’s no surprise to those that are familiar with my work over the years that I would stumble across Poynte and their latest album Discreet Enemy. This album is comprised of 12 tracks and features some of the most stunning album art I have seen in years. With the visual aspect of album art and the number of tracks I am ready to dive into this review. Poynte is a 5 piece band that comes from Atlanta, GA which is known for the origin of American country music and the birthplace of many other great bands and artists. Coming from such a city only brings more promise to the music that will come from Poynte. There are many elements of lyrical depth and instrumental influence perfectly structured into Discreet Enemy. I will give you a rundown of a few songs that stood out to me and give the best interpretation I can. But as always it’s up to YOU, the reader to take a listen and find a song you enjoy from Poynte. Picture Frames – This song is subtle in nature as the chorus and verses create a pacing of intensity that eventually lead to a brutal breakdown. Lyrically it feels like someone moving on from a situation or relationship that has ultimately run its course and is now left barren. Hold On – This song comes crashing in full force with pounding drums and vocals as the topic of a mundane lifestyle has become one of frustration and the dreams once had are slowly fading to a distant memory. That’s an intense subject for the fact that if we become complacent, we are stuck in neutral not moving forward to bettering ourselves. Nursery Crimes – The name alone leaves one to wonder what’s in store. Stories of tragedy and more questions left behind than answered is the theme in question as a tragic tale of an unsolved crime is vividly painted. This is a very sad song as it talks about how a family is dealing with the disappearance of their daughter, only to learn down the road she has committed suicide. The instrumentation is appropriately structured to give the atmosphere of a terrifying build up to the realization of what has transpired. The Villain – Losing the trust of others and having doubts about your character being raised is almost inescapable in life. Poynte has written the scene of being at the end of the rope or breaking point of just wanting to regain approval that was lost. Having our efforts rarely validated contributes further to the madness that can often weigh heavily. In the effort of trying so hard to rebuild, patience can be lost. The Villain is a great example of feeling like the bad guy in a situation you just want to put behind you but others find troubling to leave in the past. This topic is certainly noteworthy for those who feel alone in a similar situation. Last Embrace – Undeniably this song has the heaviest intro on the whole album as the guitars shatter into a breakdown that leads into rest of the track. Melancholy of being with someone who lives life in a miserable way and not looking for the brighter side of life can have great effects on those that stay with them. The nature of life always being miserable and being content with that revelation is certainly not a good way to live. In the songs course, someone is finally letting go of said person. The flipside is depression being so common in life, having that last embrace could be a liberation to moving forward rather than staying in place. In My Head – Now this is where it could get weird for first time listeners to this band. If you didn’t pick up on the song title it is indeed a song made popular by RnB sensation Jason Derulo. I know I know, this got really awkward at the end of a fantastic album. But it’s there for a reason. Because it’s awesome. Hands down I love a good cover that can be thrown in the fray of a album that mixes many emotions and heaviness from guitars and drums. Points to Poynte for rocking this song and bringing that southern flavor to it! From the frustrations of a mundane life to moving forward from a bad experience, Discreet Enemy can leave the interpretation that we can be our own worst enemies. Did I hit the mark on the band’s inspiration? Who knows, I had fun reviewing it and listening. With this whole thing wrapped up the overall impression is a good one. 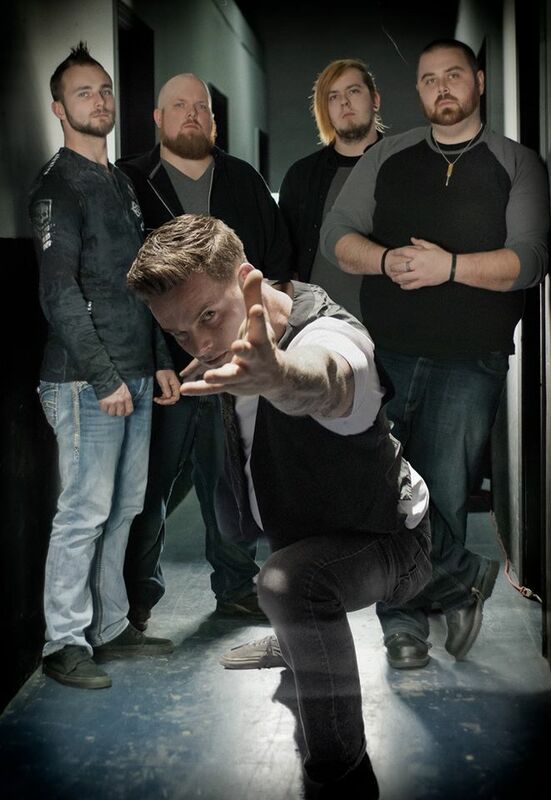 Poynte is a promising band that has created heartfelt songs and vivid word pictures worthy of praise from music critics. I don’t consider myself a critic just someone who loves music and sharing the thoughtful messages artists put into their work. Personal Favorite Tracks: Nursery Crimes, Aberration, The Villain, Picture Frames, Hold On, In My Head, Last Embrace. Album, Contrast, Control, Discreet, Enemy, Feature, James, Metal, Poynte, Review, Rock, West. Bookmark.